"Flooding the market with Nazi symbols is not something we want"
Game MD Felix Falk on the long struggle to allow games tackling Nazism and its imagery to be rated in Germany, and the responsibility of being part of "the social discourse"
There is a sequence towards the end of MachineGames' Wolfenstein II: The New Colossus, in which B.J. Blazkowicz must pose as an actor to audition for a film. It is a ruse, of course, part of a dangerous plan to infiltrate a Nazi military base. The military base is on Venus. The film's producer is a diseased, senile Adolf Hitler. It is a pitch dark and scabrously funny piece of satire, and the best moment in one of the best games of 2017. Unless, of course, you purchased Wolfenstein II in Germany, in which case this brilliant sequence would have played out very differently: no Hitler, no swastikas, no anti-semitic paranoia. In Germany, video games are able to depict many things, but they can't depict the events, icons or symbols of that part of history. "It's more than just symbols. Nazi flags, the Hitler salute or the depiction of Hitler wasn't allowed"
"It's not just swastikas," says Felix Falk, managing director of Game, an organisation that represents the German games industry. "It's a number of symbols and contents from that Nazi era, which are used in films or books - like Schindler's List, or other stories like The Diary of Anne Frank - but the same symbols would not be allowed in games. "It's more than just symbols. Nazi flags, the Hitler salute or the depiction of Hitler wasn't allowed... This was quite a big debate in the newspapers and magazines when Wolfenstein II: The New Colossus came out, and they changed the whole story around." Falk is one of many people who have fought for games to be regarded as equal to film and literature when it comes to being part of the "social discourse" around that chapter of German history. Indeed, it is a struggle that started - neatly enough - with the release of the very first Wolfenstein game in 1992. 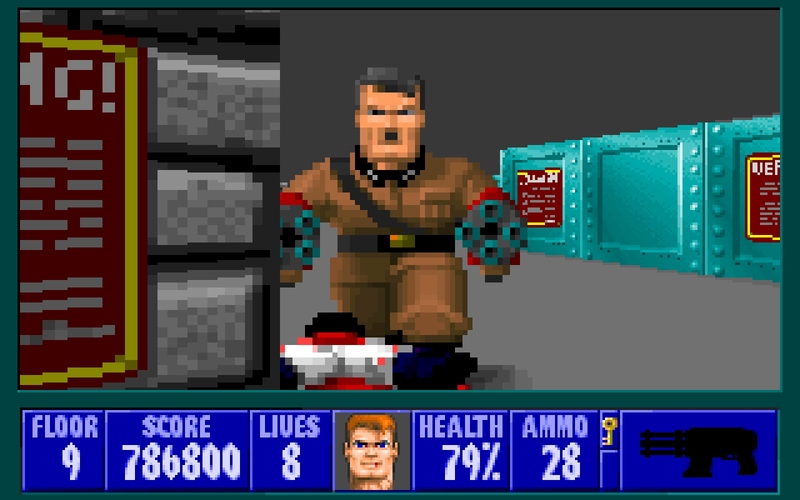 "The reason was because of Wolfenstein 3D," says Falk. "There was a court decision in the 90s. That's what the regulation has been referring to for years and years. You read that correctly. 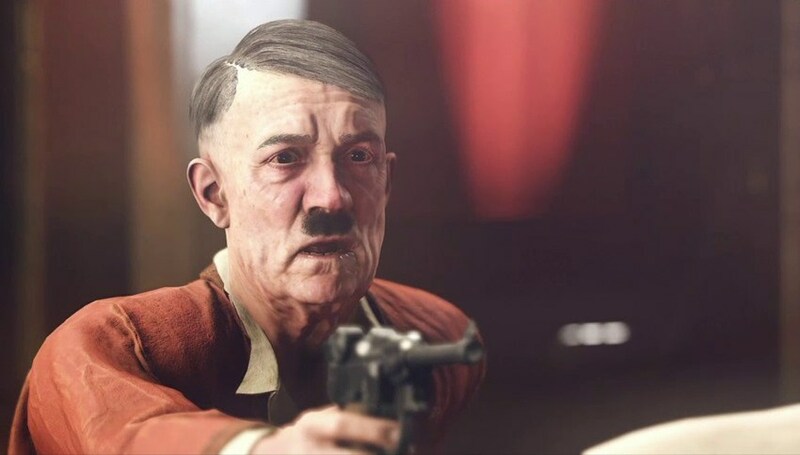 After more than two decades of steady progress, Game has announced that the German authorities will allow the Entertainment Software Self-Regulation Body (USK) to assign age-ratings to video games that feature "symbols of unconstitutional organisations" - organisations defined by section 86a of the German Criminal Code, which very definitely includes swastikas, Hitler moustaches, and Nazis in general. While recent events provided some indication that change was coming, it's difficult to overstate just how big a day this is for Falk, his team, and the standing of games as a cultural form in Germany. "It's two things," Falk says, when asked about what ultimately swayed the German authorities after such a long process. "One is the legal perception of it. The second is the perception of games in society, and there we have taken huge steps. Right now, in Germany, the discussion around the potential of games is much more open than in other countries, which have been ahead in the last years. "It is the last in a series of steps to have full recognition of the potential of games. It was the last thing missing in the puzzle"
"And Gamescom has been a great stage for that, to make this happen. We had the Chancellor, Angela Merkel [attend the show in 2017]. We had more than 150 politicians last year. That was the peak of a process that had been going on for years and years. The perception of games has changed, and with this, also, the legal perception of it has changed. "And the final end: a letter of ours to the Federal Minister of Justice and to the responsible Supreme Youth Protection Authority of the Federal States made the final step... It is very important for us because it is the last in a series of steps to have the full recognition of the potential of games. It was the last thing that was missing in the puzzle. "In the end, it was successful not to have a loud and pushy debate about it, but to take time and show people what games can do. Wolfenstein and AAA titles, as well as many indie titles, have shown in this debate what games can contribute - especially because we can reach younger generations much better than film, for example." Falk makes one thing very clear, however; this change does not represent an open door to games that involve Nazi symbols and iconography, or those associated with any other "unconstitutional organisations." All games will be assessed on a "case-by-case basis" by the USK to determine if the "social adequacy clause" in section 86 of the German Criminal Code is applicable - essentially, whether the content serves, "an artistic or scientific purpose, or depict current or historical events." "The decision now does not mean that the next Wolfenstein - or any title that comes out - will get an age rating from the USK with these symbols," he says. "It's always about context, and always an individual decision - case by case. "Games will not be seen as film, because they are different - that's why we also have a different age rating body, which is the USK. They are experts about games and their interactivity... They have seen the equality of games to other media forms for a long time. I think they are quite happy to be able - finally - take this into account. "We want to be part of the social discourse - in the face of tendencies towards discrimination, racism and anti-Semitism"
"But, of course, there will be a discussion. There is no practice in cases. They have already started creating some criteria, but in the end it will be fulfilled with more criteria after more cases develop. It will be a process." In theory, Bethesda could now re-submit Wolfenstein II in its original form, but Falk is unsure whether publishers will choose to amend their back catalogues. Not least because, as previously stated, no game is guaranteed a rating, only the same degree of consideration that has long been applied to other cultural forms. "It will be down to the committees in the USK," says Falk. "It will be their work in the next months and years to develop a practice, on a case-by-case basis. I guess we will have some cases within this, and some out of it. It will be interesting in the next few years to see, as it is already in films; there are films that are allowed to have those symbols, and there are films that are not on the market because they were not allowed to do so. "It's our responsibility in Germany to have a very serious and careful look on this part of our history. The law still says, and will for many years say, that flooding the market with Nazi symbols is not something we want - it's forbidden... There will always be a discussion, and a discussion in society, about where the limitations are." The important step taken here is that games are no longer subject to a limitation that isn't imposed on other art forms in Germany. Games, Falk points out, can now take part in discussions where references to the past and to "unconstitutional organisations" can provide much needed insight; discussions that grow more and more necessary with every passing day. "It is important for us not just because we want the recognition in terms of the equal role, but also because we want to be part of the social discourse - in the face of tendencies towards discrimination, racism and anti-Semitism, in Germany and worldwide. "It's our responsibility to speak up for an open and inclusive society, which we can do with our games, as an art-form."